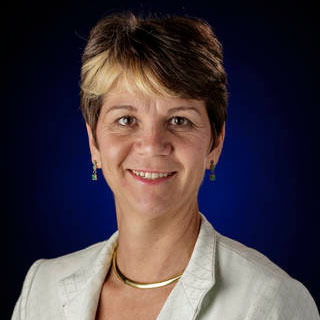 Before coming to the space agency in 2015, Renee Wynn worked at the Environmental Protection Agency for more than 25 years. She has a degree in economics from DePauw University, Indiana. All top-level IT leaders think about managing information in the cloud. Wynn, who’s the chief information officer, has to also consider how to manage information in, above and beneath the clouds — literally. From managing legacy systems for the Voyager spacecraft 13 billion miles from Earth to coordinating with private partners to ensure technology works as it should on the International Space Station to addressing a host of other issues, Wynn’s job requires her to oversee both enterprise and mission-critical solutions for the 60-year-old organization. As NASA continues its exploration of Mars and efforts to learn more about our universe and discover new truths, Wynn is strategizing the IT side of everything that needs to be done to make those efforts successful. Passionate about encouraging more women to enter IT fields, she often speaks about the gender gap and the need to address it. NASA has since created pathways for women and girls STEM academic programs. Last July, it hosted the Girls In STEM event, with the goal to inspire female students to become interested STEM fields by participating in research facility tours, hands-on activities, a career showcase, a female panel of scientist and engineers, and an Engineering Design Challenge. NASA Goddard also in November hosted the third annual STEM Girls Night In with an astronaut Q&A, talks from NASA women across disciplines and a collection of hands-on activities. Expect more of STEM activities to follow in 2019 — and further involvement from the agency’s CIO. Next Article 2019’s Top 25 Execs to Watch: David Wajsgras, Raytheon Co.